Who hasn’t woken up with a bad hair day at least once in the past month? We’ve all been there… we’re running late in the morning and our hair just won’t cooperate with us. Maybe it’s too dry or too oily. Maybe it’s too frizzy or too limp. Don’t let bad hair days ruin your look… or your mood! With the right tips & tricks, you can keep your hair looking its best. 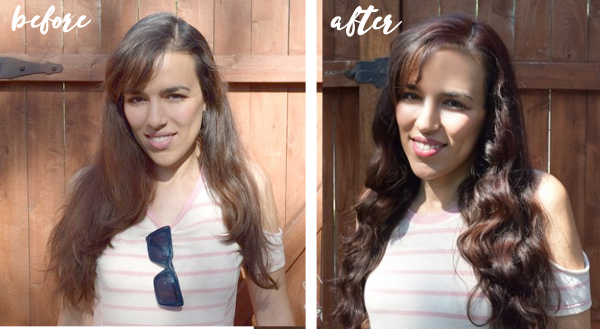 From adding vibrant color with Schwarzkopf Keratin Color (keep reading to see how you can try this fabulous product for free) to making smart food choices every day, find out how you can improve the look of your hair. After all, when your hair looks good, you look & feel good, too! 1. Avoid too much heat styling! It is well accepted that excessive use of heat styling tools can damage the hair cuticle, resulting in dry, brittle locks. Skip the hot iron and curling wands and use heat-free tools. If you’re looking for curls, simply use one of the many products on the market that can be applied to damp hair. 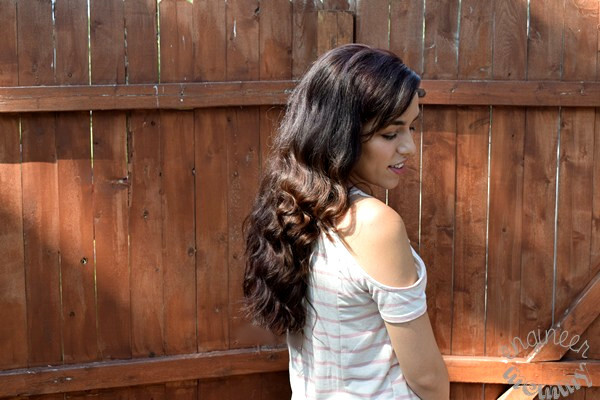 Once dry, you’ll have gorgeous waves – without the damage of any added heat. 2. Wash your hair correctly! For most women, applying both shampoo & conditioner throughout the hair (from roots to ends) is wasteful and potentially detrimental. Instead, focus the shampoo on the roots, which tend to get oily first. Then focus the conditioner through the ends, which tend to get dry first. When you’re ready for the final rinse, use cold water (as cold as you can tolerate) to seal the cuticle and boost your hair’s shine! BONUS TIP: Skip the shampoo every other day to let you hair retain its natural oils & shine. 3. Add intense color with Schwarzkopf Keratin Color! I love using Schwarzkopf Keratin Color as it lets me achieve professional quality hair color at home that offers flattering colors while caring for the hair. I recently used Shade #4.7 BORDEAUX RED. 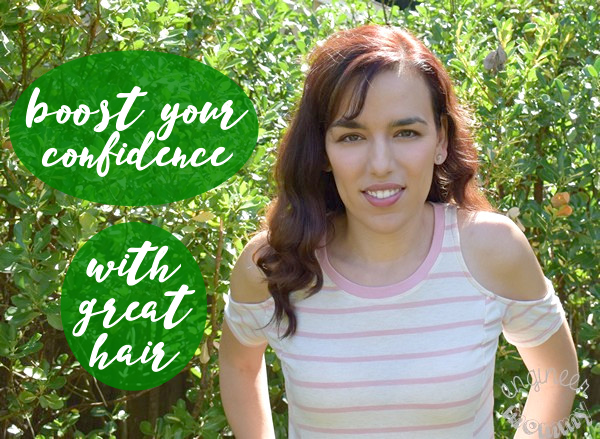 I always perform the sensitivity test the night before planning to color my hair – and you should, too! I love that this formulation comes with a pre-treatment cream to ensure an even color result! I simply put on the gloves and punctured the colorant tube with its own cap. Then I squeezed the contents of the colorant tube into the applicator bottle. After shaking the bottle well, I used the applicator tip to apply the solution directly to my roots. Whether you should follow the “All Over Color” or “Hair Regrowth Color” method depends on how long ago you colored your hair. 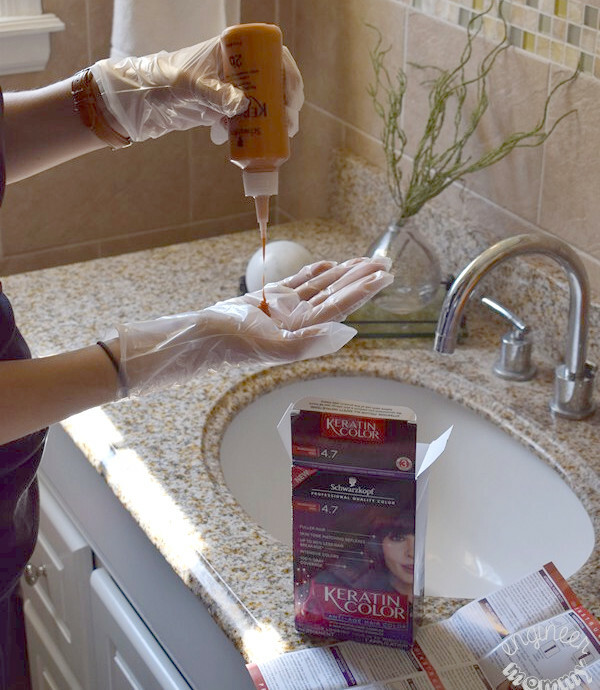 When coloring your own hair, always follow the package instructions & follow all safety guidelines, including doing a patch test and using gloves. I love that Schwarzkopf Keratin Color adds a vibrant color to the hair, while causing less hair breakage. 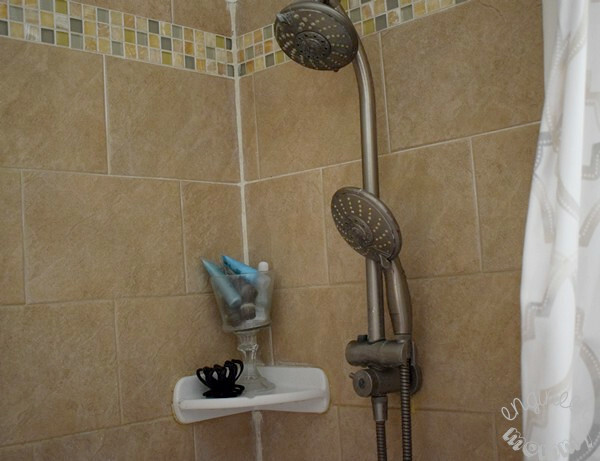 Check out my Before & After pictures. I am totally impressed by the intense shine & manageability of my hair after coloring. If you’re dealing with some gray hair, rest assured that this formulation also provides 100% gray coverage! The pre-treatment cream is a unique feature of this hair coloring product and it ensures that my final color result will be even! Did you know that Keratin Color has partnered with Dress for Success® to give women a fresh start? 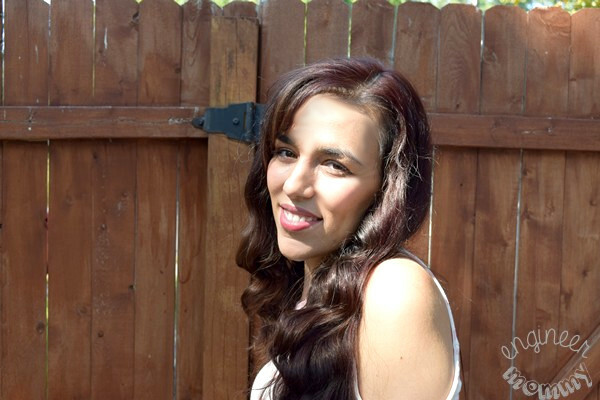 Yes, by restoring & improving the look of their hair, Keratin Color is empowering women! What a wonderful initiative! Thanks to this partnership with Dress for Success, Schwarzkopf Keratin Color is boosting the confidence of these women, while improving their upward career mobility. I can say from personal experience that when my hair looks its best, it totally empowers me to accomplish my goals! 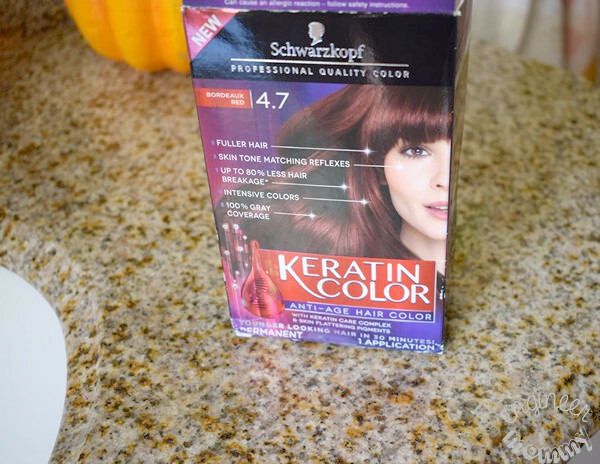 I picked up Schwarzkopf Keratin Color during a recent trip to Walmart. 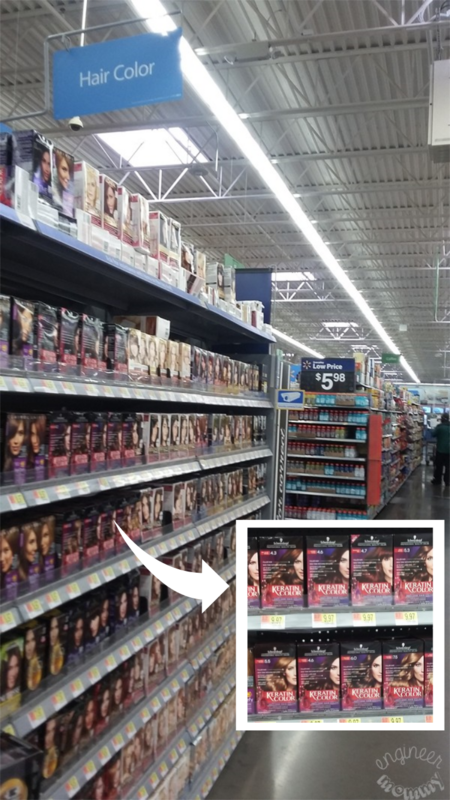 Look for your favorite shade in the hair care aisle of your local Walmart. Want to try Schwarzkopf Keratin Color for free? Simply use this link for a rebate form! Happy hair coloring, friends! Before you head to the store, be sure to take advantage of this Ibotta offer, where you can earn $2 cash back on Schwarzkopf Keratin Color! 4. 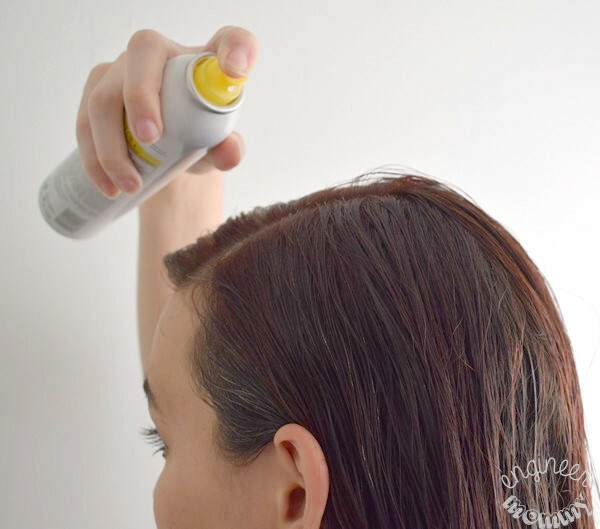 Use dry shampoo for excess oil! Woke up and noticed oily roots, but don’t have time for a shower? Don’t fret- spray some dry shampoo through the crown of the head. Work through the hair with your fingers until the excess oil is absorbed. 5. 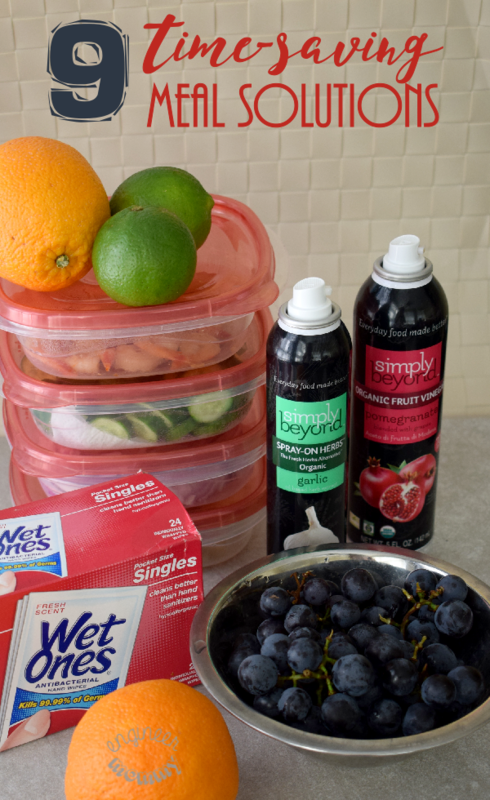 Make smart food choices! A diet with a wide variety of vitamins & minerals is ideal for creating gorgeous locks…from the inside out! Zinc, iron and omega-3 fatty acids are especially important. I try to eat a diet that consists of colorful fruits & veggies every day. I also drink a lot of water throughout the day. Taking a daily multi-vitamin has been a component of my morning routine for many years. 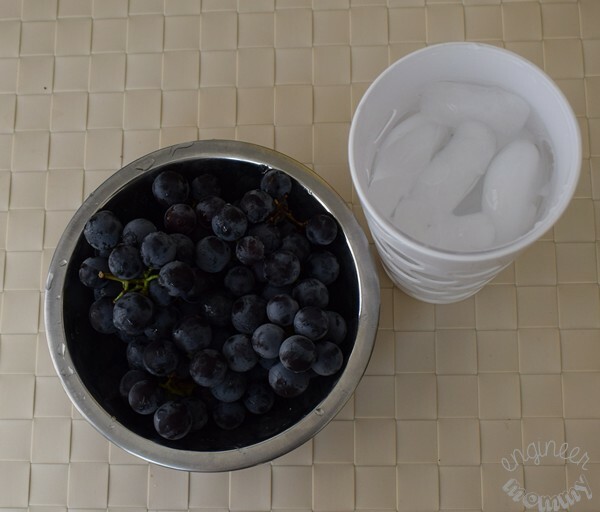 It’s an easy way to stay on top of my nutritional needs. 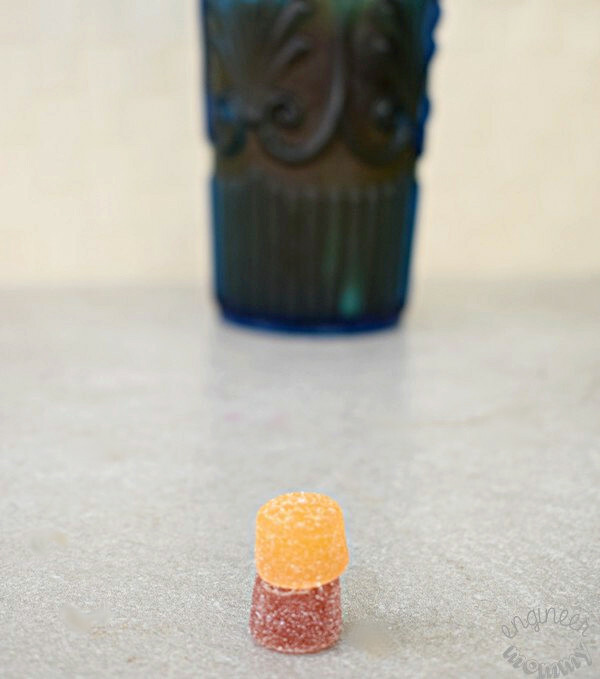 Plus, nowadays, with all the gummy varieties available, taking a vitamin has never been easier or more delicious! 7. Add oil for dry ends! If you’re noticing that your ends are looking a bit brittle, combat that dryness with some hair oil. Just one pump of oil is usually enough to add a bit of moisture and improve the look of your hair. 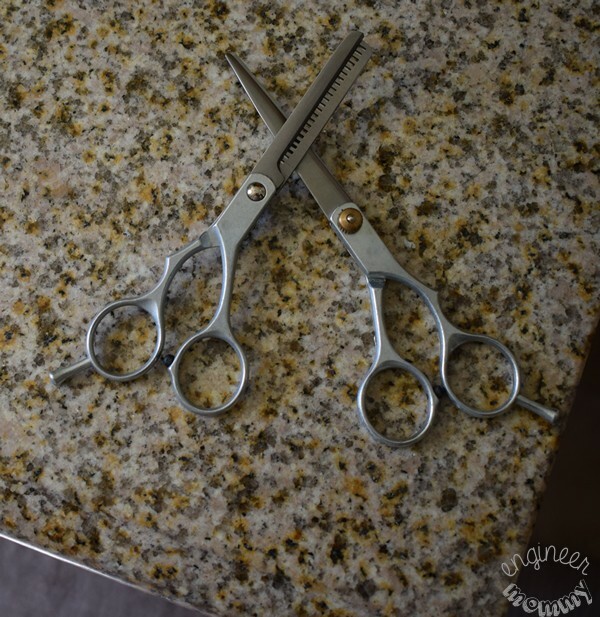 Getting regular trims is an easy way to ensure that you keep split ends at bay. How frequently you should visit the salon depends on hair growth rates, but a good rule of thumb is to get your hair trimmed every eight weeks. Proper use of combs & brushes is important to reducing the likelihood of hair breakage. 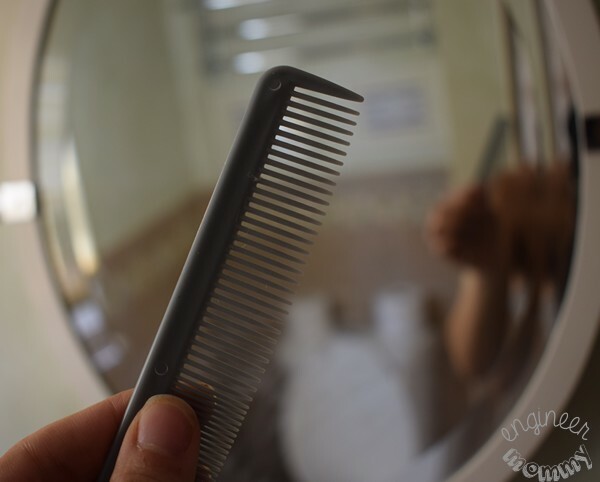 When getting out of the shower, use a wide-toothed comb to detangle the hair. 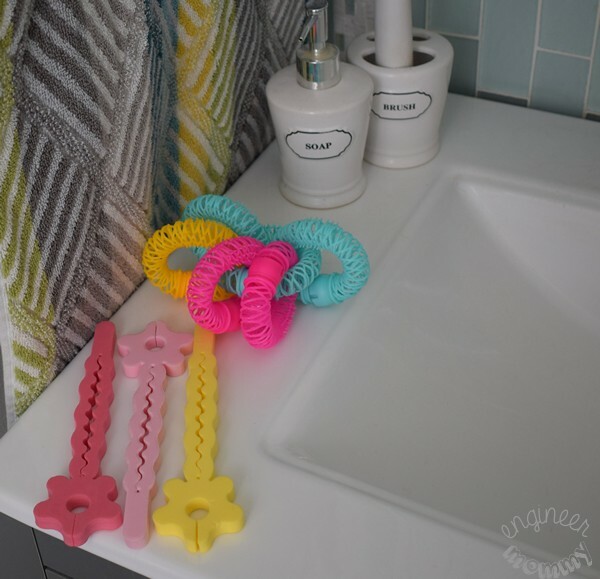 You may use a fine-toothed comb for detail work once most of the tangles are out. Use a brush on the hair only when the hair is dry. With the right tips & tricks, you can surely banish bad hair days for good! How do you keep your hair looking its best? Have you ever used Schwarzkopf Keratin Color? Do you use dry shampoo occasionally? Share your best tips in the Comments section below! I need to try this out. I have gray hair now, so I’m constantly having to color my hair. I also need a trim! I am guilty of not getting a trim often enough. I’ve been thinking about coloring lately, yours came out nicely and the color looks great. Thanks. I have always loved a deep red color! I have stopped coloring and using a ton of product on my hair several years ago. It is a nice gray color now and looks so healthy and is really thick and full. Love all your tips. You have some great suggestions here. I know for me I wash my hair wrong according to what you have here. It can use some help so I think I may have to take some of your suggestions here. Your hair looks amazing, it makes me want to grow mine out again. I will have to try your tips to make my hair look great even on days like today when it’s being stubborn. Thanks, Terri! Hope these tips help! I have never tried a dry shampoo. I have naturally curly hair so I don’t shampoo it everyday. The color is beautiful. Loving your hair. Those highlights are gorgeous! I’m a naturally curly diva and frequent trims and lo maintenance help keep my hair looking and feeling great. I feel like I have to dry my hair if I want it to look right down. I do use dry shampoo to extend my blowouts. Regular trims is one of the most important things for me. It makes my hair so much more manageable. I used to dye my hair at home when I was a teen but it never truly looked right. I now spend way too much money getting it professionally done…maybe I should look into the “at home” option again. I have a love hate relationship with my hair. We’re working on growing out bangs, which means it’s pulled back off my face, which means my gray is visible…ugh! I have seen this color in stores and your hair looks amazing. I’m going to look into this. Great tips by the way. So glad you love my tips. Thanks for your comment. Your hair looks amazing! So shiny and healthy. Must check out this product! Great advice! 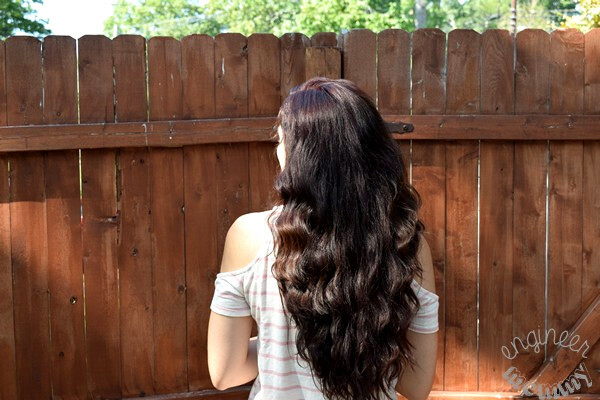 Some color can go a long way and your hair looks so pretty! The shine is awesome! I totally need to try and take your advice, my hair isn’t in the best condition and so it’s all fly away, so I could do with it just looking better every day. That is great, I just started dying my own hair and love it! 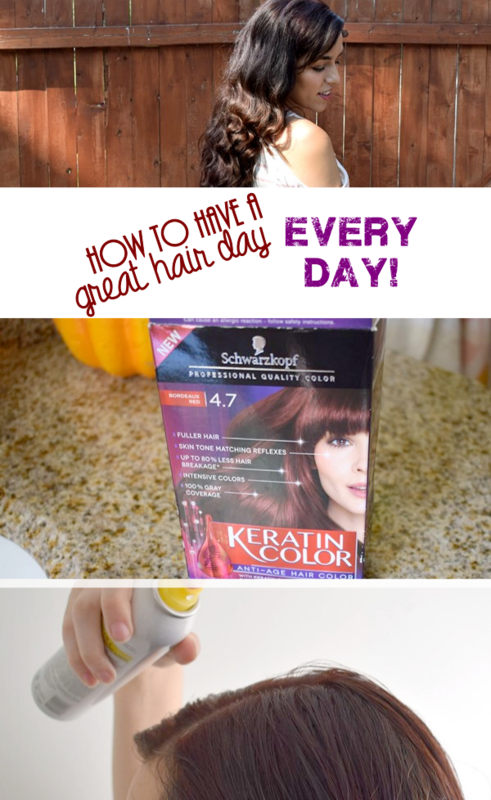 Great tips and I should give the Schwarzkopf Keratin Color a try, it seems like a great product. Love how shiny your hair looks. These are all great tips! These are really great tips for having a great hair day! I love how beautiful and shiny your hair looks. So neat!